It was fifty years ago today- September 3, 1968- Ringo Starr who had quit the group a couple weeks earlier on August 22nd. It was George Harrison’s idea to have Mal Evans get dozens of flowers to cover Ringo’s drum-kit to welcome him back. I had definitely left, I couldn’t take it any more. There was no magic and the relationships were terrible. I’d come to a bad spot in life. It could have been paranoia, but I just didn’t feel good – I felt like an outsider. But then I realised that we were all feeling like outsiders, and it just needed me to go around knocking to bring it to a head. I got a telegram saying, ‘You’re the best rock’n’roll drummer in the world. Come on home, we love you.’ And so I came back. We all needed that little shake-up. 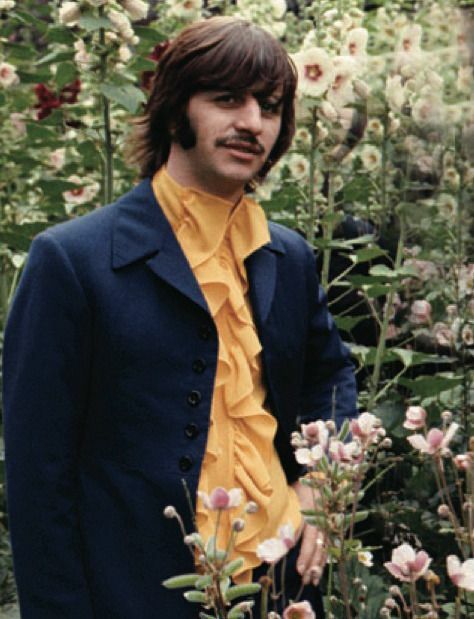 When I got back to the studio I found George had had it decked out with flowers – there were flowers everywhere. I felt good about myself again, we’d got through that little crisis and it was great. And then the ‘White’ album really took off – we all left the studio and went to a little room so there was no separation and lots of group activity going down.